See what I did there? 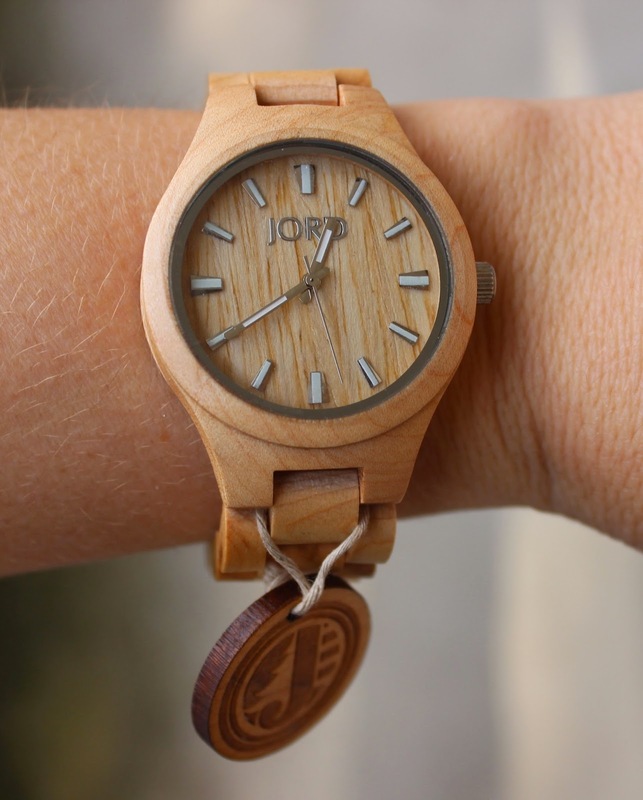 I used the word wood because I'm wearing the JORD Fieldcrest Series Wood Watch. Wood watches are so beautiful especially when it comes to women's watches. This watch is amazing and it's SO lightweight. I wear it when I'm running and working out because I can discreetly wear it under my clothing and it doesn't get in the way. It's so beautiful and stylish! I also love how simple it is. Simple and clean and minimalistic is my favorite style when it comes to watches. I love how the bezel, wood face, and strap show off the beautiful wood grain. It's so easy to get on and off because there is a push button on the buckle. Everything about this watch is so classy and versatile! And guess what!! 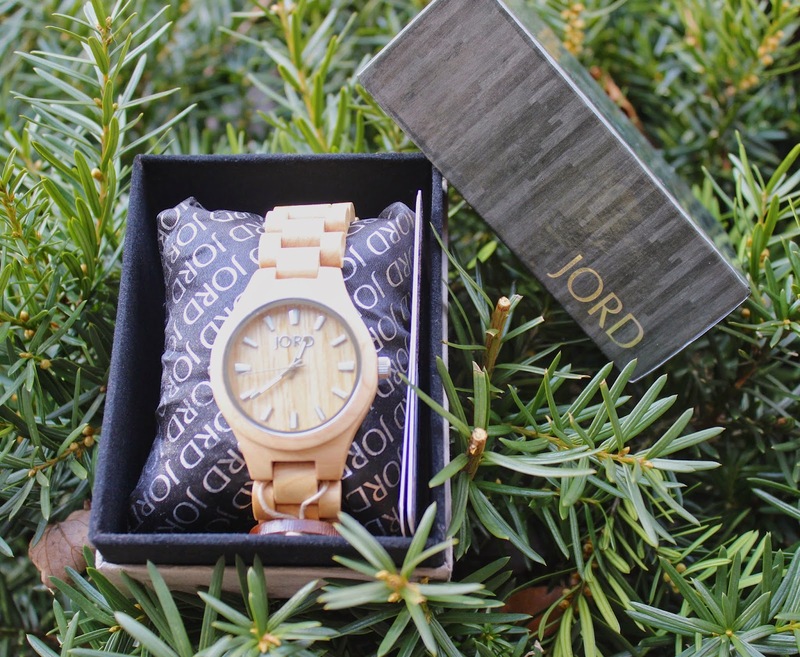 JORD is giving away a watch to a lucky winner!!! I like the Ely in Cherry because I love the hints of red in the wood. I'm in love with the CORA SERIES Koa & Rose Gold . I think it looks very elegant but you can wear it anywhere. My favorite would have to be the Ely in Cherry. I've never seen this color for a watch and it's quite spectacular. I like the Sully Series. and my favorite is maple, I like it because it fits my style. I like the Ely b/c it's delicate and feminine. I love the clean, crisp look of the Ely in Maple. Very pretty. I love the Sydney. I love the color of the Cherry and mother pearl. Such an elegant looking watch. This is a seriously AWESOME giveaway, Ellen! I love these watches! My favorite is the Cora zebrawood and turquoise. The pop of color really makes it. I like the look of the Fieldcrest zebrawood and maple. I like the CORA Zebrawood & Turquoise watch. I love the color turquoise and the wood is beautiful. My favorite is CORA SERIES Zebrawood & Turquoise. I like the vibrant color of the face. I love the Ely style since it has a smaller face. All of them are beautiful though! I really like the Cora series of watches because they are fun and elegant. A great combo! I really like the DOVER SERIES Zebrawood & Cream because I think it is cool you can see the mechanic of it! I really love the Fieldcrest Series in Black and I think it would look so great on my husband! It's simple yet elegant! My favorite watch is the CORA SERIES Zebrawood & Turquoise cause I love the Swarovski Crystals. I love the Cora watch with the turquoise face. I like the pop of color! I love the look of the ely in cherry. I have been trying to win a Jord Watch for years now! I wish I could just buy the darn thing....but I can't! So...I absolutely love the Cora Series in Zebrawood and Turquoise! It's gorgeous and unique. Love these watches!!!!! I love the JORD Fieldcrest in Natural that you reviewed. I love the simple look and it matches everything.